At F&S E-Cig, we are experts in vaping devices and what goes into them. Whether you call it e-liquid, e juice, or vape fluid, it all amounts to the same thing – it is the liquid mixture you use to fill the tank of your vaping device, or drip onto the coil of your atomiser prior to use. It’s the source of that flavourful and aromatic cloud that surrounds you after having a vape, and it carries that hit of nicotine (or not). At F&S E-Cig, we only stock the very best in pre-mixed e-cig liquids and juices, carefully curating a collection of e-liquids from the finest producers across the globe. 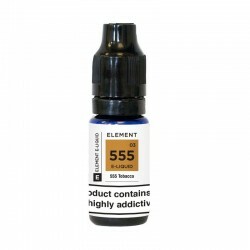 With a full range of products from such big names in the vaping industry as Element E Liquid, Charlie's Chalk Dust, Ruthless, Dinner Lady, Vampire Vape and Nasty Ballin’, there’s a flavour and a strength for everybody. Our e-liquid section includes a wide range of options, available with varying levels of vegetable glycerine (VG), propylene glycol (PG) and nicotine, so you can find the e-liquid that's perfect for you. 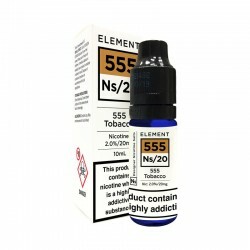 Due to the TPD, all of the nicotine containing e-liquid options on sale in our store are only available in 10ml bottles, however, we offer a great variety of multi-packs and nicotine free shortfills in larger bottles. While most e-liquids come in a variety of strengths, depending on your nicotine needs, we also stock an impressive catalogue of short fill e-liquids for those who prefer to place larger e-liquid orders or who like to customise their vaping experience. Designed to leave room for the addition of your own nicotine, these juices mix easily with nic shots/salts, allowing you to experience the same great flavour, but with a nicotine hit of your own choosing. Many of our e-liquids are available in multi-packs. These include simple bulk purchases of the same item, as well as variety multi-packs so you can change your e-liquid and get a better sense of the options on offer for a bargain price. We're also pleased to stock JUUL pods for the JUUL pen, which also come as multi-pack buys and are available to purchase instore. Our complete range of e-liquids is available to purchase online for fast UK delivery. Alternatively, you can visit one of F&S Central London stores where very experienced team will be able to help you find the perfect e-liquid.